Check the Busboys and Poets website for all the poetry events this week, including Pages hosting at 14th & V on Tuesday Featuring Future the Poet from Flint, Michigan, and yours truly hosting the 5th in K location on Wednesday. Jenny C. Lares is a poet and Executive Director of Sulu DC, a network and monthly showcase of AAPI artists in the DC metro area. Since she was a child, Priska has been singing into imaginary microphones and interviewing people with imaginary microphones. Music and journalism have been constant sources of passion. As a pastor’s daughter, she started singing with her family in church and began flirting with the guitar in her early teens. Music was a friend while she grew up in Silver Spring, Md., and then moved to New York for college. Now back in D.C., she works at NPR during business hours. During extreme periods of emotionality — late at night, while eating dinner or walking down the street — she writes songs. Mostly love songs about boys, and sometimes condiments. She’s trying to get music off the back burner and put it on more of a side burner — parallel with the journalism stuff. Oh, and she also makes weird sounds — most notably, an imitation of a crying infant, a cricket and a trumpet. “Wednesday Verses” at Bohemian Caverns! 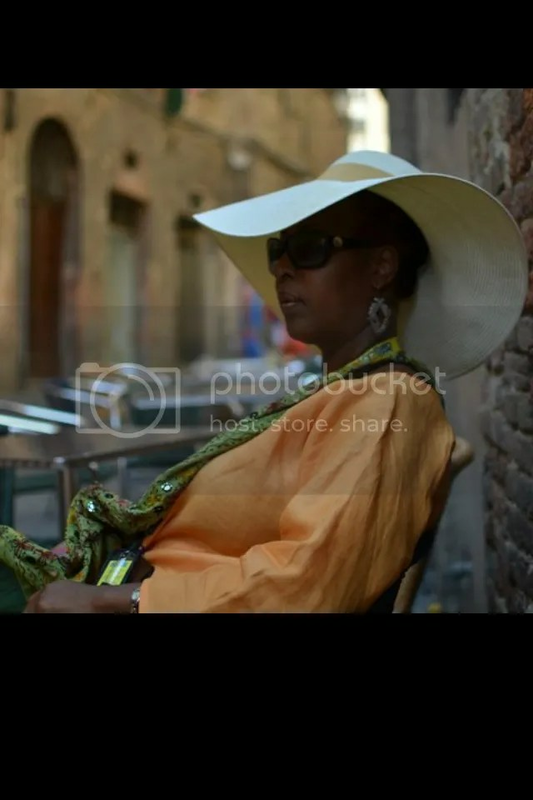 Sweet and Natural’s, “Live and Breathe” and Ra Brown’s, “Will Work For Food” is very pleased to bring a classic poet and part of the prolific word sound collective of a “back in the (better) day” cafe called: ‘It’s Your Mug’…please welcome Ms Kimberly Collins. Kimberly is a REAL poet and Outstanding writer. Come witness her brilliance this Wed., April 11 at 8p. 4009 34th St in Mt Rainier, MD. Hosted by Ra Brown. Open mic sign-up at 7:30p. See you there! Art Under Pressure presents Power Moves is a monthly music event showcasing the hottest performers in the DMV. If you’ve been wondering where the real music is, it’s at Ras Hall on Saturday April14 featuring Mello-D & the Rados! 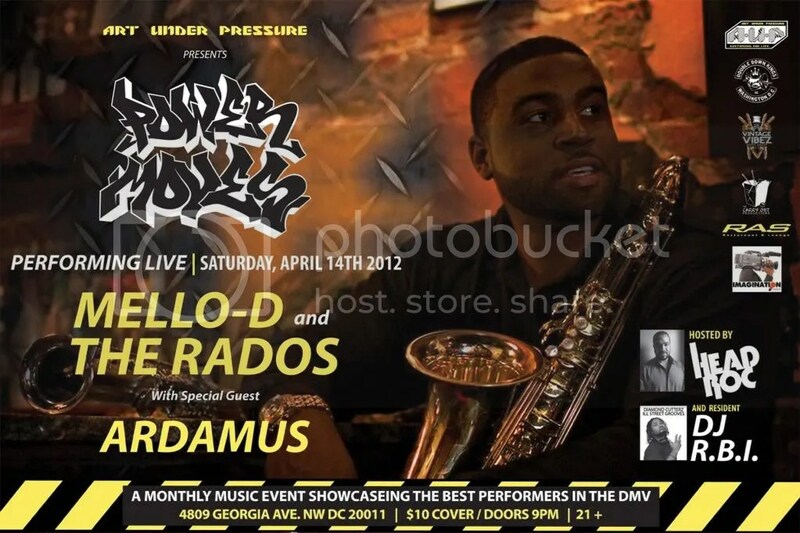 Mello-D & the Rados has been representing the DC area for over 15 years touring the United States and internationally and the band is going to bring in the warm weather with some thick beats and phat lyrics for 2012… See you there! This is one of the bands rare DC area shows so it’s something you will not want to miss!